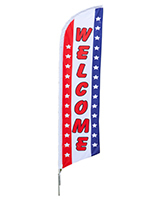 These Welcome Flag are Made from Polyester, Making the Material Lightweight. The Sign Display is Large Enough to be Seen from Afar. 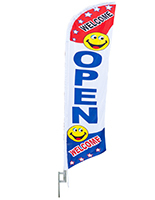 These Welcome Flags come with Lightweight Aluminum Pole. 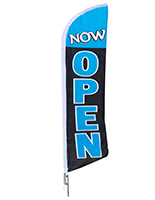 These welcome flags can be place into any soft surfaces. The banner's generic message of "WELCOME" makes this display a viable marketing tool for any business or shop. 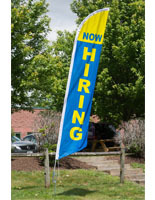 These welcome flags are a great way to get potential new customers into any store. The feather flags come with aluminum pole. These welcome flags stand 14' high once assembled. Also, the feather banner comes with a 31" long, durable metal stake. 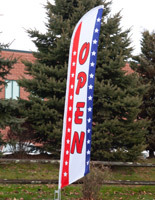 These welcome flags that stand on metal ground spikes are ideal for grass covered and many other soft surfaces. The feather banner's aluminum pole will swivel in the wind. 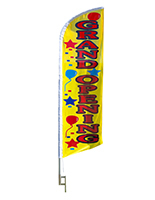 These welcome flags that come with aluminum poles can be transported to events near and far! The only real difference between fiberglass and aluminum is that fiberglass is bit more durable, but quite a bit more expensive than this aluminum pole. 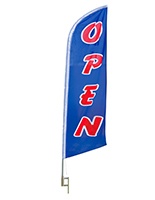 These welcome flags can be used at auto body shops. The feather banner is single-sided with the graphic dyed through; the image can be seen in reverse on the opposite side. 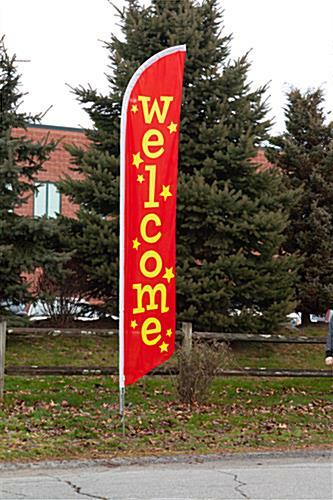 These welcome flags have letters and stars in bright yellow on a deep red color for an eye-catching display. The feather banner measures in at over 14' tall and 27"w, which makes it far more visible than a typical sidewalk sign. 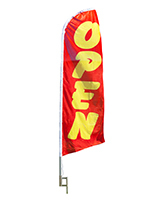 These welcome flags' large and vibrant message will help get patrons into any business or store! 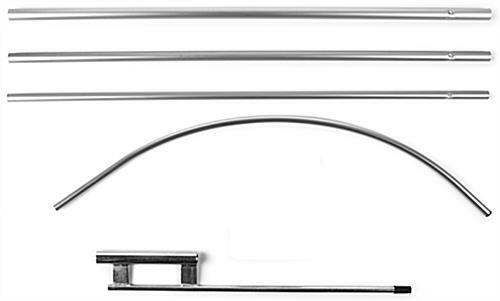 Buy this banner display to generate more sales today.